If it's ever finished, its cost may still put it out of reach for those who need it most. At a 2010 TED expo, Nathan Myhrvold — former Microsoft CTO and current project lead of Intellectual Ventures — debuted a “photonic fence” that zaps disease-ridden mosquitoes to an early grave à la laser. The machine locates, targets, and shoots the pests mid-flight in a Lucite box. Myhrvold’s phonetic fence was widely lauded not just because bug bites are a downer, but because of the increased fear of mosquito-spread malaria, yellow fever, dengue, West Nile, and Zika. Funded by Bill Gates, the skeeter-zapping device sounds great on paper: its laser is aimed by a mirror synced to a camera capable of recognizing mosquitoes by its size, shape, and even the unique flutter of its wings, which differs between male and female. All of this happens autonomously, in the span of 100 milliseconds. Only 25 of those milliseconds are actually spent zapping the bug, which is observed by a high-speed camera, body parts and insides falling away from the rest. After his TED talk, it was easy to assume that real-life use of the Intellectual Ventures laser was just around the corner. (The public certainly seemed to hope so, as the video of his talk has been watched over 847,000 times.) 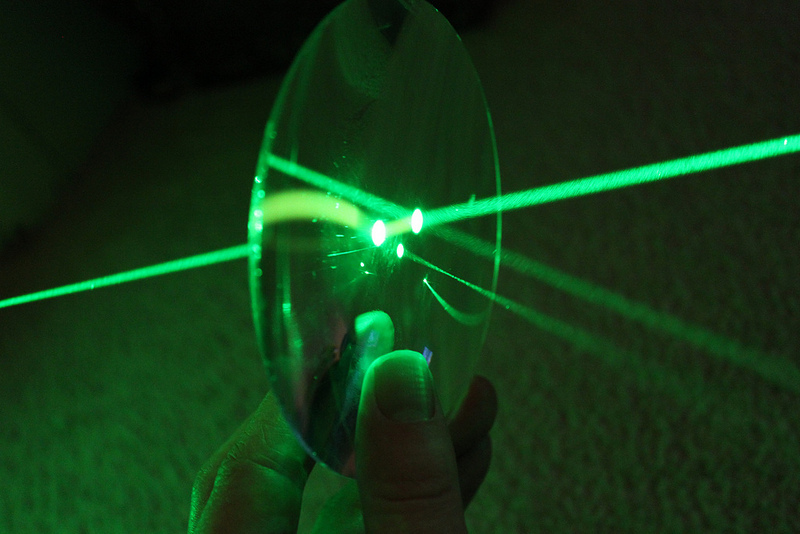 But while the infrared lethal laser is real, the demo Myhrvold gave in 2010 was a little bit faked. Myhrvold actually used a green laser pointer that zapped at the Lucite box of bugs from across the stage. He followed up the nonlethal light-show with a slow-motion kill video of a scrupulously staged target practice, previously recorded in his lab — with one notable closeup accomplished by gluing a mosquito to a pin to keep it from flying away. The reality is that, despite seven years of rapt attention, the anti-mosquito laser has proved difficult to actually build. Intellectual Ventures has spent years figuring out how to continuously track and identify the unique qualities of a mosquito, and not other (relatively) benign bugs, like butterflies and bumblebees. At a recent demonstration, Carl Swanson of New York Magazine had to don protective goggles because the kind of laser used is not safe for the eyes. Myhrvold guaranteed that this possible hazard will be corrected before the laser hits the market, but it represents yet another obstacle. Lastly, no one seems to know how to make the device on a budget that doesn’t price out its widest consumer base: people who go to sleep at night under a mosquito net. Consequently, Myhrvold has considered the possibility of selling the device to the military, since soldiers tend to be sent to intervene in Malaria-laden areas of the world. Myhrvold isn’t the only scientist using lasers to fend off unwanted pests. University of Missouri researchers Heidi Appel and Rex Cocroft have discovered they can incite Rockcress plants to produce higher levels of natural pesticides by playing them the tiny, laser-measured vibrations produced by munching caterpillars. At the University of California Riverside, the Computational Entomology Lab is working on laser-based technology that classifies insect species based on their the sound of their movements. The goal of lead scientists Eomann Keogh’s work is to spot insect infestations of grain in silos and fields before the infestation ruins a crop. But unlike Mhyrvold, these researchers are largely addressing problems with a much smaller scale of social impact. Mosquitoes kill an estimated 1 million people per year, with over 400,000 of those deaths caused by malaria alone. And in the past few years, urgent concerns about these biting pests have been raised by the spread of Zika virus in South America and the threat that climate change will produce more of them. If there was ever a time for a laser-shooting mosquito zapper, it’s now.